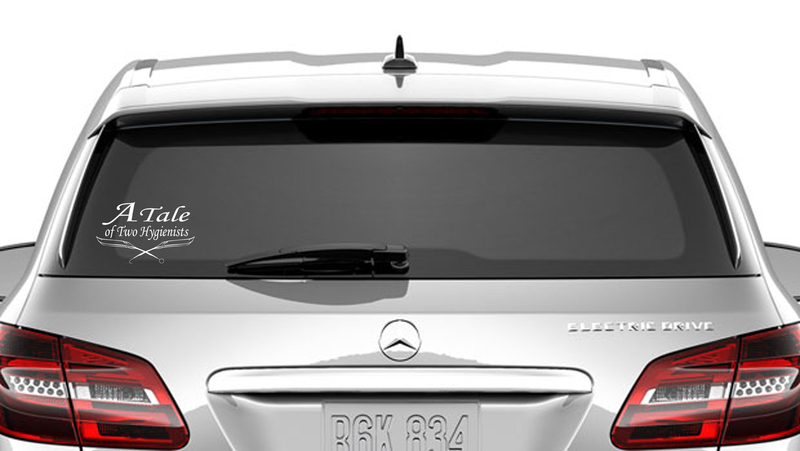 Show how proud you are to be a fan of A Tale of Two Hygienists with this window decal. These decals are made using high-quality vinyl. Each decal comes with transfer tape to apply the decal to the surface. These decals will apply to most hard and smooth surfaces. (Do not clean window with Windex prior to application). These decals are available in the following colors: pink, purple and white. This product was added to our catalog on 06/13/2018.